Your basketball shot will thank you for paying attention to that. If you want to connect your shots like Stephen Curry, you’re going to have to run through a few basic steps for a while. We’ve searched far and wide for the best tips to get nothing but net with your shots. All things that catch fire need to warm up first. If you want to shoot like you’re on fire, you might want to do the same. Start getting into the groove of things by stretching muscle groups for 20-30 seconds. After your muscles are loose, increase your heart rate by doing some cardiovascular exercises for a few minutes. There are a ton of things that go into your shot, so we’ll start with the basics. It’ll take some time to get into the flow of things, so don’t worry if it’s not perfect at first. The key is to apply these practices to your shots until they feel natural. Make sure your grip is spread across the ball properly, meaning you’re wide enough to balance the ball with one hand. Keep an eye on your elbow. It should be directly under the ball and your hand has to line up to the rim for a smooth shot. Force is important. The ball should be released before you’re at the top of your jump. If you’re shooting correctly, you’ll land in the same spot from where you took off. Relax your wrist and point your fingers when shooting the ball. Your fingers should line up with the top of the backboard for a clean shot and follow through. Take the advice of Frank Allocco Sr, a seasoned coach with 18 seasons under his belt. Like troubleshooting anything else, start with your hunches and make your way down the list to get rid of anything that’s creating problems. B – Bend your knees. They generate power to get your ball to the hoop – and hopefully through the net. L – Lift your legs and arms at the same time, keeping your wrist and elbow at a 90° angle until your extension. E – Extend your shooting arm up and slightly forward when you leave the ground. S – Snap your wrist and shoot the ball when you’re at a full extension. The snapping motion creates backspin, helping the ball land in the net after hitting the backboard. H – Hold your position after your shot. It should show your index and middle finger in line with the basket if you’ve done this correctly. We hope these tips have helped you improve your form or at least point out areas for improvement in your shot. 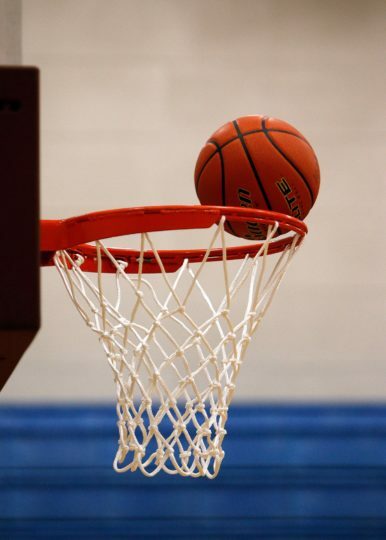 You’ll find that repeating these steps will help you knock out any of the kinks in your game by fixing any bad shooting habits you may have developed. 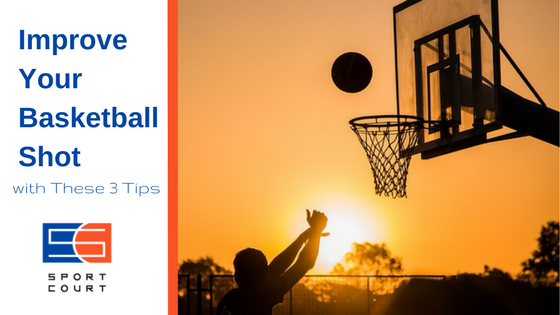 Be sure to like Sport Court North on Facebook for more updates and tips to improve your game on the court.